Let me start by telling you how much I hate spiders (except of course for Charlotte!) Actually I hate all things creepy, crawly, slithery, slimy… you get the point! So why a post on spiders and what on Earth can they teach us about being a successful Realtor? Read on! There is a spider who lives on the ceiling of my covered porch. Every night, I leave the porch light on for my husband so he will have light to the front door when he gets home. Every night when he gets home, as soon as I hear him pull in the driveway, I open the front door and step onto the porch to welcome him home! So one night, before my husband arrived, I noticed this spider spinning her web. I was grossed out and asked my husband to get rid of the web. He replied, “Baby, it’ll be gone in the morning, she spins a new web every night.” Perhaps due to my arachnophobia, I was unaware that spiders built there creation EVERY DAY. So this spider received a reprieve and I decided to observe her actions over the next few evenings… wowzers what a lesson! 1. Start every day at the very beginning: My husband was right (my husband is ALWAYS right!) this little spider builds this magnificent web every single night! Every single night, she starts at the very beginning and does not quit until her web has been spun. What if YOU were to start every single work day at the beginning… what would happen to your productivity? I postulate that it would skyrocket! If you began each workday by generating new business in whatever manner you choose, you would never cease to have any number of customers with whom to work. INSTEAD, most agents begin their day (& carry out the majority of their day) servicing the business they already have! Whether that be putting out fires, sending a fax, taking earnest money to the HUD listing agent, emailing a co-op agent… all of these activities, while necessary, do not generate new business nor help you achieve and sustain a successful career in real estate! Consider starting every day as if you had no business to service and generating business first before you do anything else…. imagine the steady stream of customers you would have! 2. Build a foundation and branch out from there: When a spider begins construction, she always starts with a foundation. She throws out a strand of adhesive silk and when it sticks to something, she reels it in and then carefully walks along that single strand adding another silk fiber to strengthen it. She continues this process creating a “y” shaped netting forming the foundation of the rest of her creation. After she has this sturdy foundation, she spins her web in sometimes intricate patterns yet always useful in achieving her goal! So many times, a Realtor will attend a great seminar or workshop on a new method of gaining business. This information can be extremely useful and effective but NOT at the abandonment of the basics! You must build a steady foundation of generating business and rely on that daily and only then branch out to try new things to ADD on to your foundation. If you call Expired listings, do that daily and then try your hand at timed twitter posts. If you send out postcards to 300 Sellers in default daily, then start there and THEN start a blog site to gain additional business! In other words, definitely try new and exciting ways to find more people to assist but remember that you cannot spin your intricate web without a foundation on which to build it! 3. 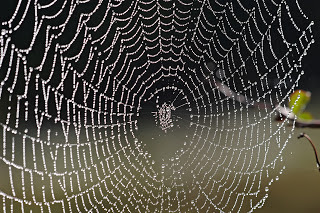 Find an effective marketing plan that works for you: Every evening my little Charlotte builds her web on our front porch but in a slightly different location. Some nights, if I leave the porch light on all evening, she’ll build it very close to the light in order to capture all the moths. Other evenings when I do not leave the light on all night, she’ll spin her web closer to the far edge of the porch which is closer to the street light. Many nights, the location may be similar, but her web is anchored in different places or may be at a slightly different angle. What I have noticed is that Charlotte constructs her creation every night in a way to prove more effective for her nighly goal! How often do you evaluate the effectiveness of your endeavors? Do you have a way of determining the effectiveness of your various marketing plans? prospecting methods? targeted areas / demographics? Do you ask your customers how they found out about you? What made them choose you? In other words, make sure to learn from spiders and assess and adjust and what you do to be the most effective Realtor you can be not only in terms of generating business but in servicing ongoing business and servicing clients after the close of a transaction! 5. Don’t give up if something negative happens… start again tomorrow: Sometimes our little spider anchors her web to a flower pot I have sitting on the deck of the front porch. Sometimes our German Shepherd walks across the porch right through that one anchor filament to Charlotte’s web. When that happens, it destroys the entire structure and the spider cannot do her job that evening and will not be able to catch any bugs. Does she get upset and give up and decide to never spin a web again? Does she decide to never spin on the porch again? No! Of course not! She will begin her work anew tomorrow evening! What a fabulous lesson for Realtors! When you get a negative result, when something does not go your way, when you have a bad day, recognize that is all that it is… ONE bad day! Do not give up! Start again tomorrow! You have a job to do in the profession that YOU have chosen! Chalk it up to an isolated circumstance and start with your foundation again tomorrow! If you continually spin your web in a location that constantly gets thwarted, change your area (marketing methods, location, targeted demographic, price range, means of prospecting, etc!) Do not give up, just make an adjustment! There are so many people out there that need your assistance and there is a good living to be made by helping others with their real estate needs… do not give up! “The itsy-bitsy spider climbed up the water spout. Rapport is defined by Webster’s dictionary as “relation marked by harmony, conformity, accord or affinity.” You will often hear people talk about “being in sync” or “on the same wavelength.” Establishing rapport with a customer is vital to gaining their commitment, loyalty and eventual closing and referral business. People like and trust people who are like themselves because similar behaviors create familiar expectations. People generalize all the time and make assumptions about their future relationship with YOU based on their past relationship with someone else who was similar to you! The more familiar you are to your customer, the more rapport you will establish to immediately and gain their trust and allegiance and business! You must communicate in a way to appear familiar to them. Verbal, vocal nuances and body language establish rapport much quicker and deeper than similar hobbies or experiences! The following are some verbal and non-verbal skills of which to be mindful and develop so that you may be in rapport with your customers and quickly turn them into clients and advocates! Rate of Speech/Tempo: This refers to how fast or slowly someone speaks. People generalize about another simply based on this rate! For example, if you are from the North, when you speak with someone from the South who speaks slower, you think they are “stupid” or dim-witted. Conversely, if you are from the South, and speak with someone who is from the North or speaks fast, you think they are “up to something no good” or trying to con you out of something! Pay attention to the rate of speed at which your customer speaks and try and match that rate so that you are more familiar to those with whom they are most comfortable! Tonality: This term refers to how nasaly / chest / throaty / breathy a person speaks. For example, Marilyn Monroe was very “breathy.” If you speak in a booming voice and project from your diaphragm to Marilyn Monroe, you may be perceived as being pushy, intimidating or overpowering. On the other hand if you speak more lightly to someone who speaks less forcefully, then you may be perceived as being weak or unsure of yourself. You want to match the tone of your customer as closely as possible so that you will be perceived to be more like them! Pronunciation: tomato vs. tomaato 😉 Need I say more? Emotions: Keep in mind that happy people HATE depressed people and sad people HATE happy people! 😉 When you first work with a Buyer, they are all excited about finding a new home and they are joyous with uplifted spirits of anticipation. That would not necessarily be the time to tell them that due to the lack of inventory and properties selling over list price with multiple offers, they should be prepared to lose 3 or 4 contracts before finding a home on which they will actually close! On the other hand, when that same couple HAS lost out on 4 contracts, you probably don’t want to jump in the car and say, “Woo hooo! Here we go … off to find your new home! Isn’t this fun and exciting!??!? !” Obviously, if your customer is upset (as in this illustration or perhaps due to being in financial distress with the house they are selling) you DO want to offer them encouragement and hope and give them the confidence that YOU are the agent to help them solve their real estate needs! I am simply encouraging you to not be the polar opposite to their emotions, rather notice where they are and then lead them up if they are in a negative place! According to the Journal of Consulting Psychology, a study designed to describe how the mind interprets meaning, the conclusion indicated that the interpretation of a message was 7% verbal (actual words) 38% vocal (volume, pitch, rhythm, tonality) and 55% was nonverbal (facial expressions, eye movement, gestures, posture.) The implication for business communication is clear! You must utilize ALL areas of communication to your benefit. Do not rely strictly on emails, texts, phone calls or in person communication; rather use ALL 3 forms to your advantage! Remember that the meaning of our communication is the message as RECEIVED by the person regardless of the intent of the speaker! The simple phrase, “What’s wrong with you?” could be interpreted as your expression of concern (i.e. are you okay? what caused you to be ill / sad / etc.) OR that simple phrase could be interpreted as your lack of confidence in that person’s capability for rational thought (i.e. have you lost your mind? How on Earth could you do that / think that / say that / etc.) Similarly, phrases such as “Is that what you’re wearing?” or “What took you so long?” may also be misinterpreted regarding intent if those phrases were communicated to another simply in an email or a text! Do not throw away any potential business or commission or referrals due to your lack of utilizing ALL forms of communication to build rapport with your customers! If you are anything like me, there was a time & place when your friends all said “Jeremy! Why are you not on Twitter? You need to use Twitter! It is an awesome new social network that is super effective for producing new business connections!” After several of your friends begged you to join, you finally visited Twitter.com and registered an account. You finished your registration, added celebrities like @aplusk and @Maximum1Realty and your friends from in your database. You sent the infamous “Just trying out Twitter” as your first tweet and then set in complete confusion for the next 6 months trying to understand what to do next. Your friends & celebrities filled your wall with constant stream that was always moving and you had no way of making sense of how to use twitter. You answered your friend requests that filled your inbox and that was about it. After complete frustration set in, you gave upl & said that Twitter was not for you. This is a very typical story of so many that have started on twitter. When you use the basic web version of twitter, it is very difficult to understand how it all works & how to optimize your account for business. 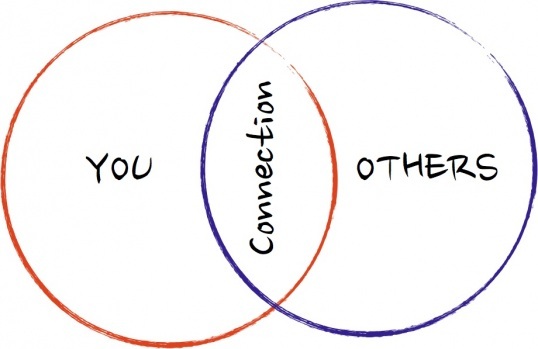 All you see is constant chatter & movement of links from people you know & those you don’t. This was my feelings on twitter for the first few months. Until I finally started using a few of these Twitter Applications listed below. 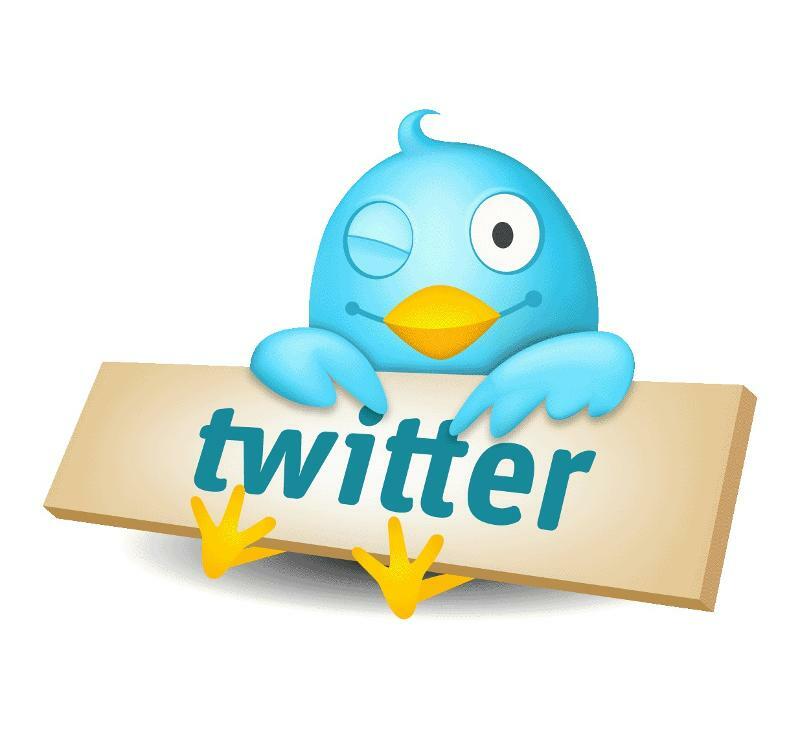 Whenever I am working with a client who does not understand or enjoy using Twitter, it is normally because they are not trying out any of the various Twitter applications that exist. After an hour of online coaching on these applications, it makes things much clearer. Because of this, I decided it was time to put together a mother lode list of Twitter Applications. So if you are unsure how to use twitter or have been completely frustrated with how to use it, try implementing some of these twitter applications into your online experience. I promise it will help clear up the confusions of using this social network as well as enhance your ability to gain business from it.